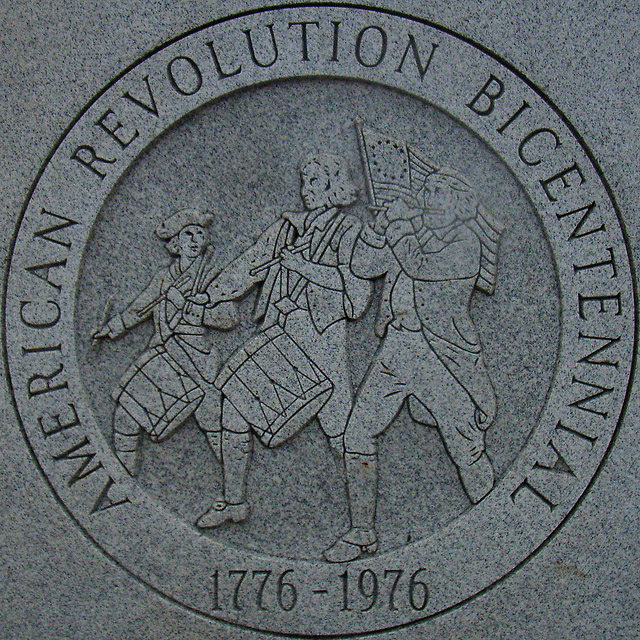 American Revolution Bicentennial granite memorial monument in Nashua, New Hampshire- photo by Tracy Lee Carroll (StarrGazr) on Flickr (noncommercial use permitted with attribution / no derivative works). 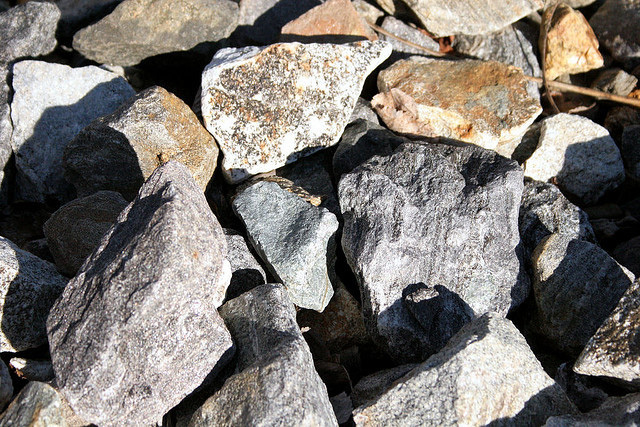 New Hampshire designated granite as the official state rock in 1985. "The Granite State" is also New Hampshire's official nickname. Granite rocks at Manchester Airport in New Hampshire; photo by Tracy Lee Carroll on Flickr (noncommercial use permitted with attribution / no derivative works.